GE Aviation’s Systems business is a global supplier of integrated systems and services that use innovative thinking and a fresh perspective to deliver better fuel efficiency, create fewer emissions and promote the highest potential for asset utilization. EDC Aviation Systems Team was established in 2005 and now consists of about 200 highly educated and skilled Aviation Engineers supporting the business in major projects. We are involved in design, analysis as well as project management process. The GE Aviation Systems business is a global provider of electrical power systems, avionics, actuation and landing gear, aerostructures and propeller systems to the builders and operators of military and civil aircraft, from large transports to fighters, UAVs to armored vehicles, and from helicopters to regional and business jets. A global Systems Customer Services network supports all of GE’s products and is tailored to fit the needs of our customers and maximize aircraft availability. Aviation Systems is headquartered in Cincinnati, Ohio and employs 10,000 people at manufacturing, repair and overhaul facilities around the world. With a broad range of integrated mechanical, power and avionics systems, GE Aviation’s Systems business is bringing the future of flight to today’s civil aircraft. From Integrated Propulsion Systems that create unprecedented engine energy efficiencies to advanced flight management systems that enhance the capacity of the skies, GE provides the advanced technologies critical to superior aircraft performance and is poised to take civil aviation to the next level. 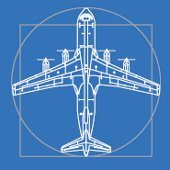 As the designer, developer and manufacturer of fully integrated mechanical systems for civil aircraft around the globe, GE is investing heavily in new technologies, to provide customers with advanced solutions that ensure mature performance and low technical risk from initial delivery. Our solutions add significant value by optimizing system architectures, simplifying and combining functionality, and improving lifecycle cost and aircraft availability, while reducing part count, cost and weight. GE is developing innovative technologies, solutions and systems for advanced energy management. As a leader in the design, development, manufacture and support of primary, secondary and complete electrical power management and distribution solutions, we are working with civil customers worldwide to create the best systems for their specific needs. By using state-of-the-art digital technology GE is meeting the needs of the world’s evolving airspace. GE’s products – ranging from displays and fuel gauging to an ecomagination℠ – certified flight management system – offer the flexibility and enhanced performance that are essential in safety-critical aircraft operations. Already a leading supplier of aerostructures, nacelles, propellers, landing gear and aerial refueling systems, GE Aviation’s Systems business is investing in new technologies to create the next generation of integrated mechanical systems for civil and military applications around the world. This fresh approach to systems integration helps customers increase capability, improve functionality and lower costs of ownership. 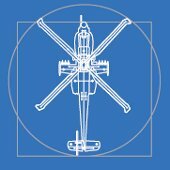 With more than forty years of experience in the manufacture of hard-metal landing gear components and assemblies, GE supplies rotorcraft landing gears and components to customers around the world. We honor our commitment to meet customers’ time-critical development needs by offering complete design-through-delivery capability for full-up aircraft, rotorcraft and unmanned aerial vehicle landing gear. GE designs, develops and manufactures fully integrated landing gear actuation systems for large civil aircraft. Investing heavily in advanced technologies, we are able to provide customers with innovative solutions that ensure mature performance and low technical risk from initial delivery. Our integrated systems offer significant value by optimizing system architectures; simplifying and combining functionality; reducing part count, cost and weight; and improving lifecycle cost and aircraft availability. As a leading supplier of thrust reverser actuation systems, GE combines innovative designs with an outstanding record of performance and proven reliability. Our capabilities include cowl opening systems, actuation for engine core and inlet/exhaust, and completely integrated systems. Our offerings include hydraulic or electrical powered solutions, and each system is tailored to customer requirements and applications. We provide electromechanical motion control subsystems for civil and military applications, with product offerings including control electronics, motors, high power mechanical transmissions and actuators. We have extensive experience in motion control subsystems integration for aircraft, land vehicles and PGMs/UAVs. Our EM technology solutions offer significant advantages, like low weight, straightforward maintenance, high reliability and improved system safety. GE’s state-of-the-art aerial refueling systems offload up to 600 gallons of fuel per minute, safely and reliably. We supply electromechanical boom actuators, self-powered wing refueling pods, external fuel tanks and digitally controlled hose and drogue refueling systems. As a principal supplier of all-composite propeller systems, GE’s Dowty Propellers supplies most of the modern generation turboprop engines. Our advanced propeller technology is simple and proven, with advanced aerodynamics blade sections, rugged construction, fail-safe electronic control and lightweight design. Innovative designs offer low noise with minimal vibration and a modular configuration provides low through-life costs. GE is a global supplier of major aircraft structures in metallics, high-tech composites and acrylics. Our products include wing leading and trailing edge assemblies, flight control surfaces, empennage components, fairings, nacelles, in-flight refueling systems and role equipment. We supply integrated canopy and windscreen systems, as well as the repair and upgrade of both civil and military aircraft structures. We are creating smart engine nacelles for the future of air transportation, bringing a new approach to the concept of integrated propulsion systems. 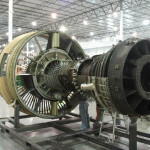 Nexcelle, the joint venture company between GE’s Middle River Aircraft Systems and Safran’s Aircelle, is providing integrated propulsion systems and are both leading suppliers of engine nacelles, thrust reversers and aerostructures. Through Nexcelle’s relationship with CFM International, the company offers unparalleled expertise in the design, development, production and support of integrated propulsion systems for CFM engine applications on a wide range of aircraft. In an innovative approach, Nexcelle and CFM International are working together in evolving truly integrated propulsion systems. The result will be aircraft propulsion systems that are more operationally efficient and cost-effective over the aircraft lifecycle than conventional systems.